The feeling of being at home on the other side of the world in exotic landscapes and incomparable exquisite comfort is priceless. 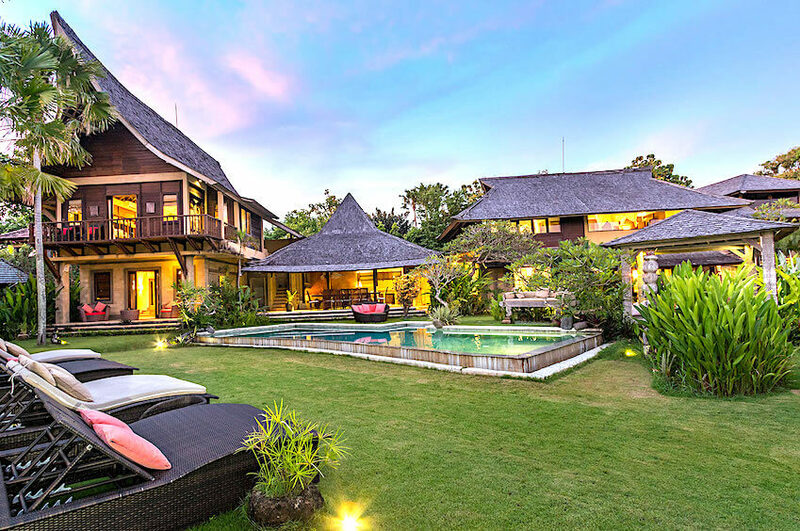 In Bali, the villas in the traditional Balinese style are very distinct and give us an idyllic image of a luxury property with high quality services. In the heart of lush and spacious gardens, cross the Javanese gates of the domains to discover places where the outdoor and indoor spaces mingle in harmony and, in search of exoticism, lose yourself in the atypical landscapes. Assuredly, Bali is a call to travel and discovery with the multitude of activities it offers near our prestigious properties. On the beautiful beaches of black sand or white sand, in the hollow of the many national reserves or in rice and coffee cultures, share unique moments with your loved ones. To admire the incredible sunsets and exceptional panoramas, trek up the surreal volcanic giants, not far from traditional temples such as Tanah Lot or Pura Besakih to dive into a culture rich in history of legends. And, on the way, the hot springs will provide the greatest good, before leaving for more adventures to the rhythm of colourful traditional dances. Thus, in hiking, rafting or even kayaking, Bali is a meeting place with unusual scenery in which calm and serenity reign supreme in the heart of the land. But this destination, which everyone names "Island of the Gods", is not only renowned for its exceptional landscapes but also for its activities in the water. With a crystal-clear sea, the Balinese depths continually attract surfing and diving enthusiasts in search of wrecks lost in protected maritime areas and a rich marine fauna and flora. Then, for those who wish to admire its landscapes to the rhythm of waves, boat cruises are just as appreciated. Although Bali remains one of the smallest islands of the Indonesian archipelago, it is still very popular and especially, it is the villas that hide it that charm the greatest number. Indeed, experience a stay in a luxury Balinese property with unique services of high quality. With direct access to the beach or nestled in the heart of authentic villages, our properties have the essentials of a luxury villa. Certainly, we can not forget to talk about private infinity pools with a mirror effect or a waterfall effect with incredible views of the ocean as far as the eye can see, perfect for midnight baths or family games. And, very often an indoor or outdoor Jacuzzi is added to enjoy the benefits of bubbles and jets of water. To know that in Bali, well-being is in the heart of the concerns and will be the mantra of your holidays. In addition, to enjoy oriental rituals and eliminate all the bad waves and stress of everyday life, most of our villas have a wellness area with a hammam and a spa to enjoy hydrotherapy treatments and Balinese massages. Then, in order not to force you to give up the sport during the holidays and to take care of your body, we put at your disposal gyms in intimacy and exclusivity, as well as tennis courts. 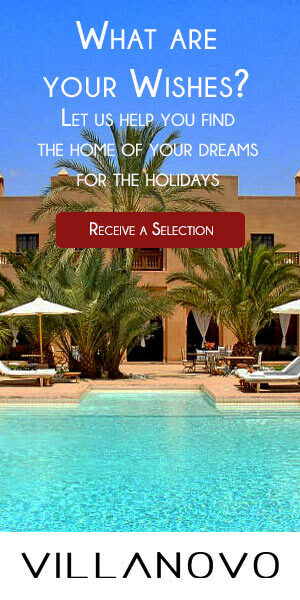 Moreover, ideal for family pyjama parties, you will have the chance to enjoy private movie theatres. You will certainly agree that it is not trivial to be able to watch a movie in an intimate place in extreme comfort. And finally, Villanovo is keen to make you enjoy authentic experiences by providing a discreet and attentive team of home staff for tailor-made services. You will be free to fully enjoy your holidays, enjoying the services of a private chef to develop your menus according to your desires, but also a housekeeper for the maintenance of the property.